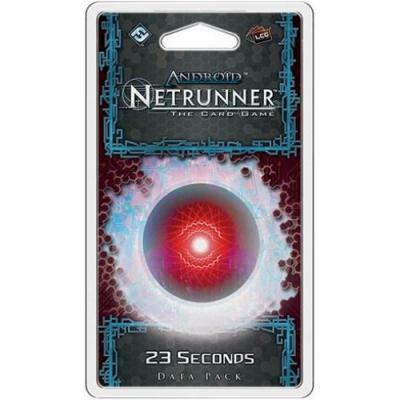 A twenty-three second breach of Titan Transnational Bank’s security systems plunges New Angeles into financial ruin, and 23 Seconds opens the Flashpoint Cycle for Android: Netrunner with a glimpse of the resulting chaos. Its sixty new cards (three copies each of twenty different cards), depict a world in which desperate corps act more aggressively than ever, implementing extremely powerful—often hostile—ice and operations that come with trash costs. These cards, along with the Corp’s powerful new Terminal operations, ensure that the stakes in the Flashpoint Cycle are as high as they’ve ever been!